I took a little break the past week but I’m back and I’ve got another gorgeous thrift store makeover for you today! And I know you are going to love the stunning ‘Treasure Blue’ color I used! 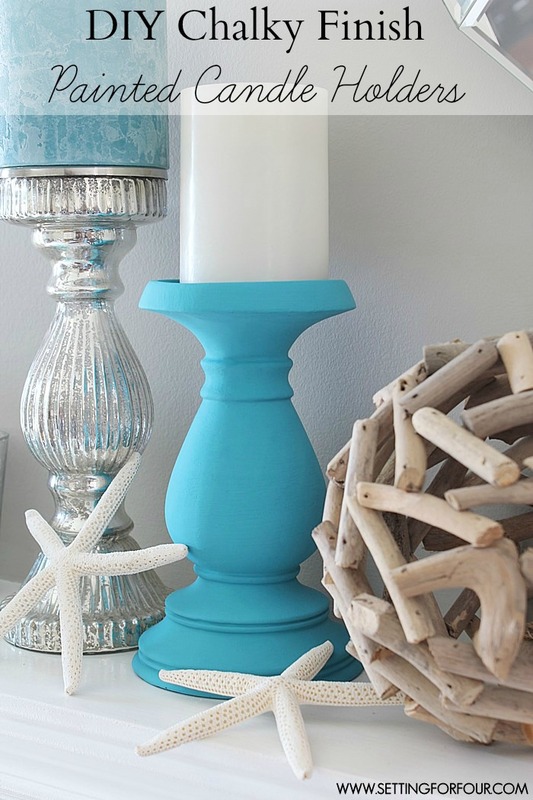 If you can picture a tropical lagoon in your mind – that’s the color! 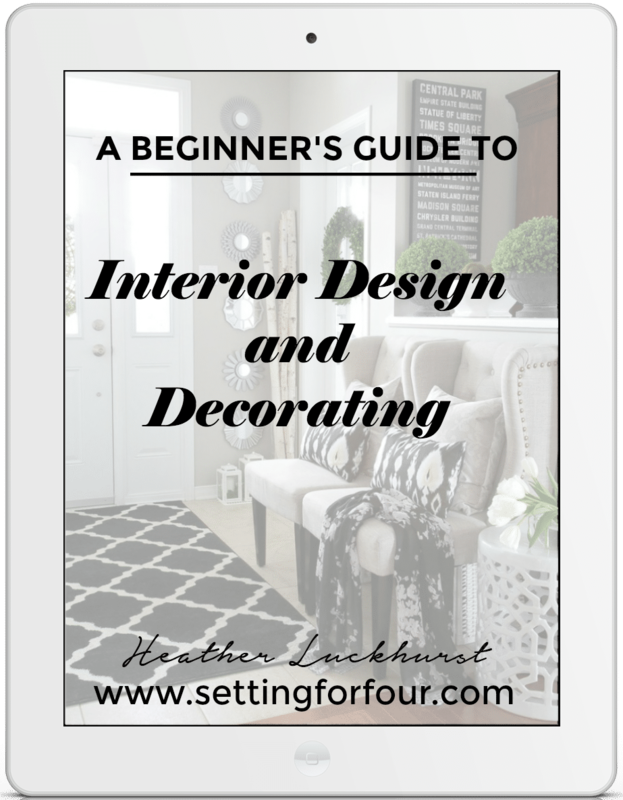 My motto here at Setting for Four is to create a stylish haven for my amazing family without breaking the bank. 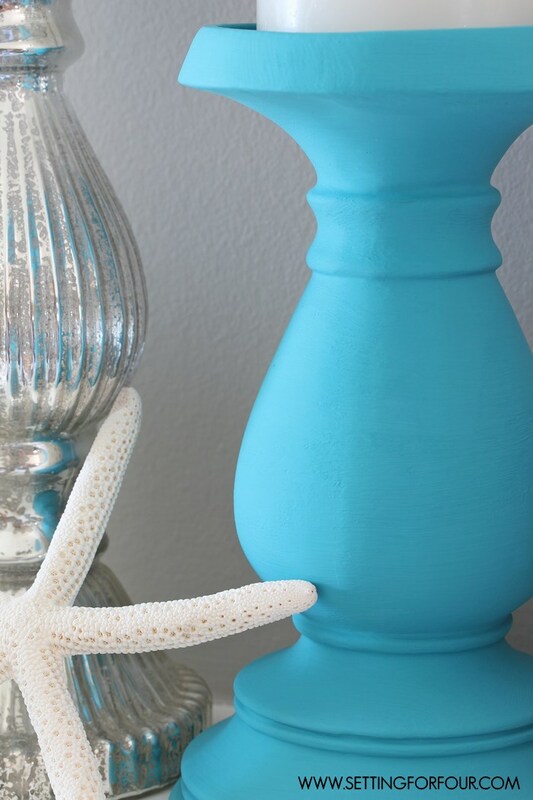 Furniture and accessories can be expensive – but it’s so easy to save money by giving basic decor items a paint makeover! I love showing you how I save money on my decor! 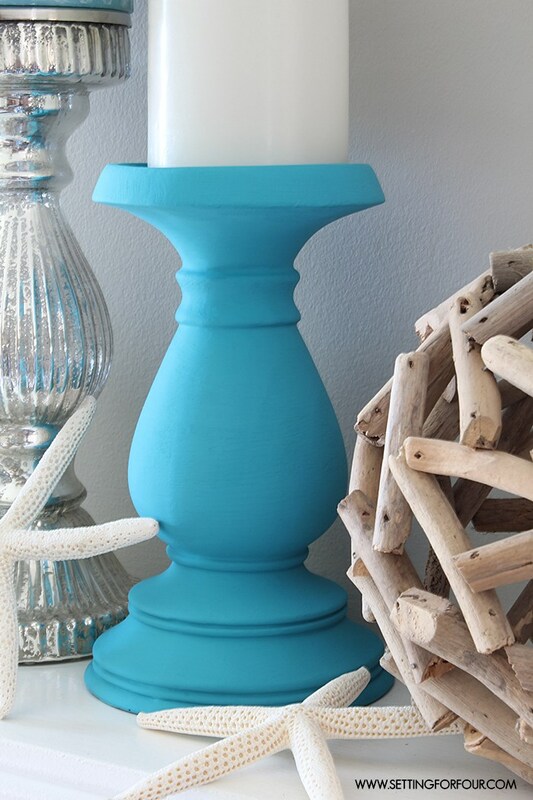 Check out how I transformed a pair of boring brown candlesticks into these stylish ‘Treasure Blue’ Chalky Finish DIY Painted Candle Holders! 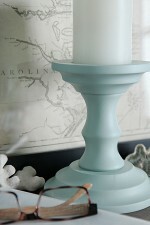 I love to layer my tables, mantel and bookshelves with lots of accessories to add color and pattern to my home. 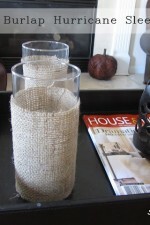 But home decor accessories can be really expensive …so I love to DIY mine whenever I can! 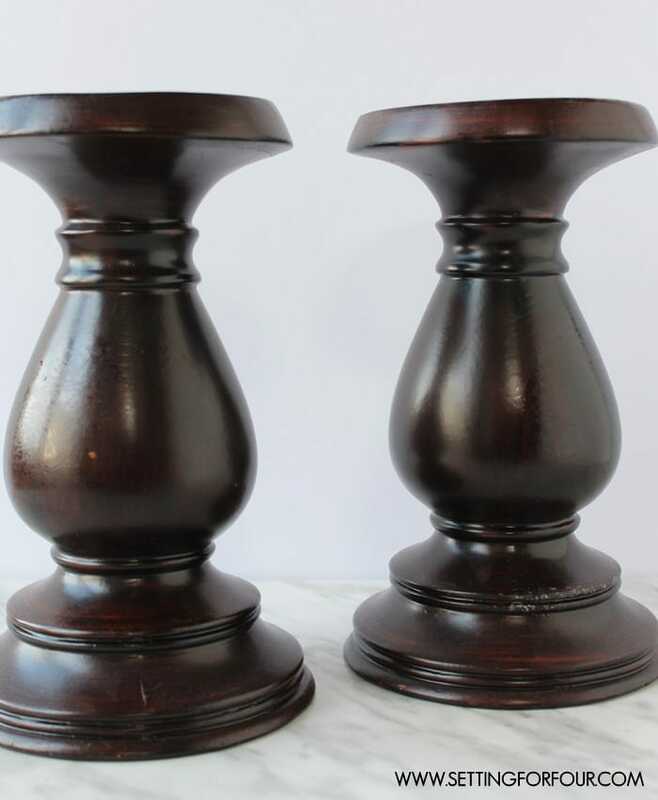 I scored these candlesticks at the thrift store – I loved the size and the shape…loved that they will hold pillar candles too, but I don’t love the brown color! I gave them a face lift with a gorgeous aqua/teal blue paint called ‘Treasure’, perfectly named because they are my treasure now! Here’s how I transformed them! This really is the easiest DIY – all it takes is adding two coats of Chalky Finish paint, letting each coat dry completely. I added a final coat of clear wax. That’s it! No sanding, no prepping required with this paint! 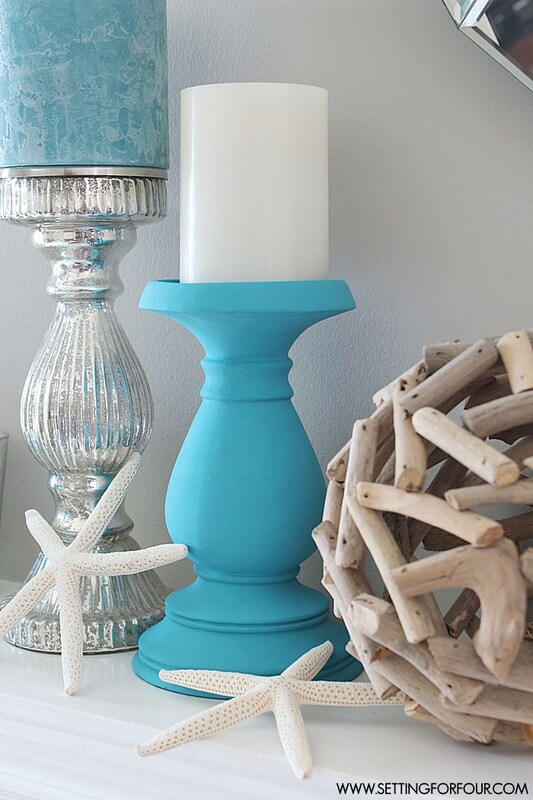 I love the pop of watery blue color these DIY painted candle holders add to my home, the color of a tropical sea. 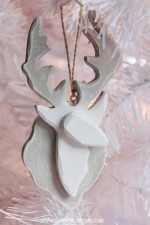 Wow – I love this!! 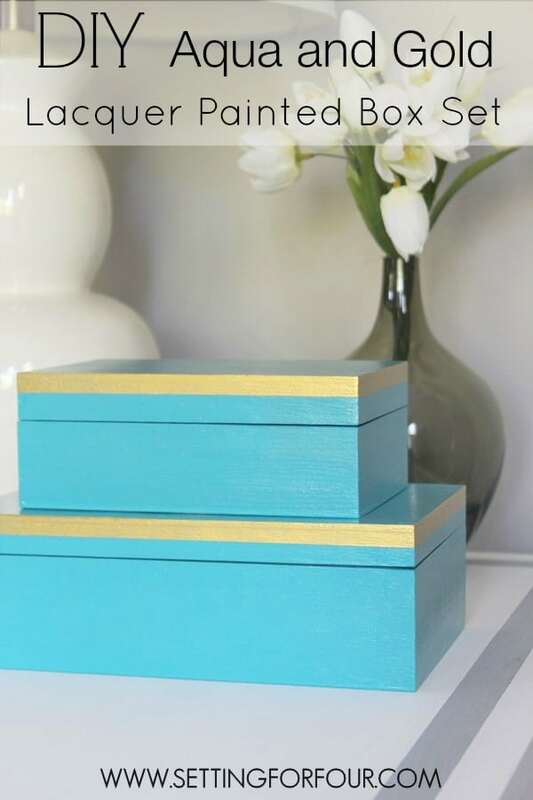 Great color, and what a fun DIY project! Thank you Meg – I know right??? The color is gorgeous! SO glad you like this project – happy Summer! I’m so glad you like them Ashley – thanks for visiting! 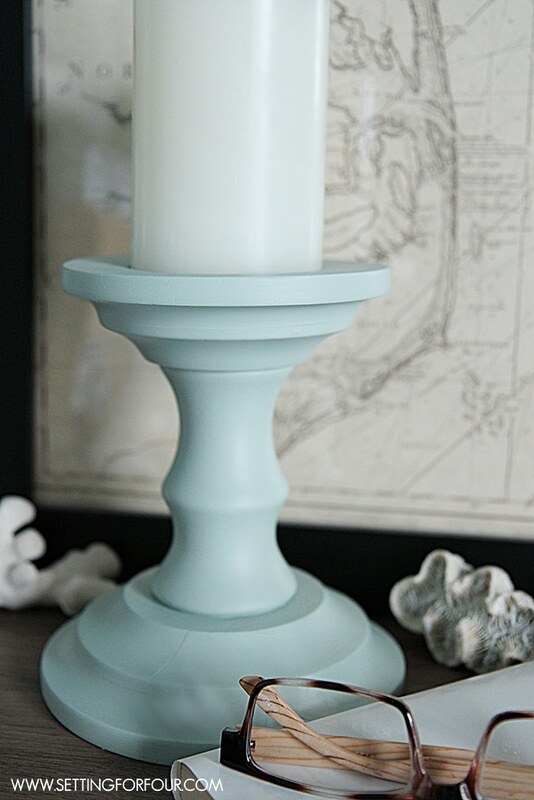 Heather, I love when old brown candle stick holders get a makeover and that color is so pretty! 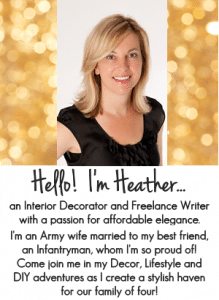 Heather, I love this project! 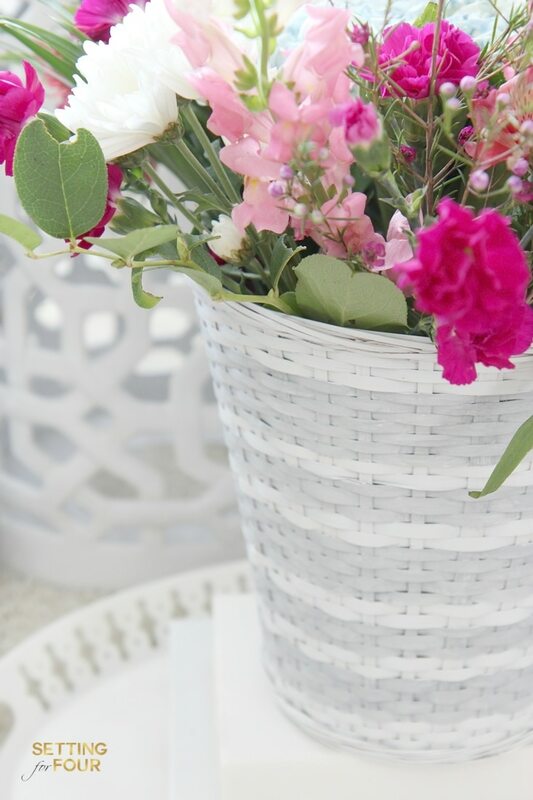 You seamlessly combine crafty ideas with calming design. I cannot wait to try it with my daughter. Thanks a for being a one in a million! 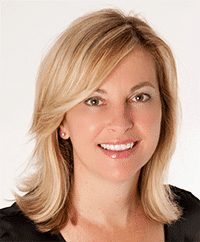 Thank you so much Trish for your beautiful compliments – they just made my day! 🙂 have a beautiful week!